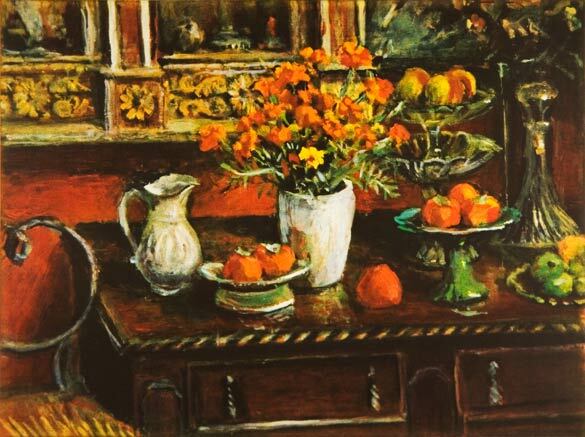 Margaret Olley etching print hand signed and titled “Marigolds and Fruit” is a limited edition fine art etching print and was released in 2009. The edition is limited to 80 only, Image size: 59 x 79 cm Paper size: 79 x 108 cm, colours 6, plates 4 , Sheet is Hahnemuhle 100% Rag 300gsm, Etching House has Lay Bys up to 12 months. “Marigolds and Fruit” at Etching House, Giclee, Digital reproduction fine art prints are also available at Etching House.